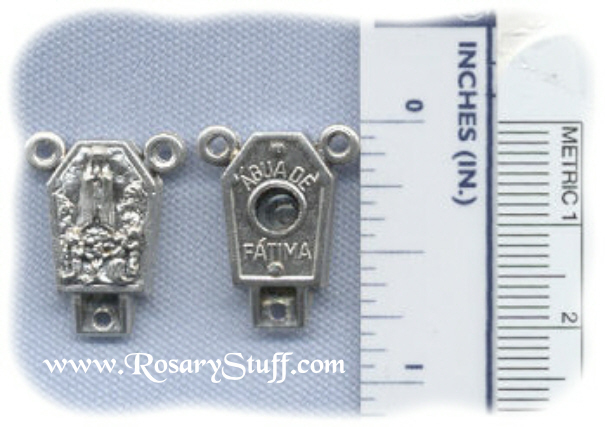 Italian oxidized Silver plate Our Lady of Fatima rosary center with 1 drop of water from Fatima. Slightly over 3/4 inch tall (including rings) and 5/8 inch wide. This center used to be labeled as LARGE but has since changed due to a larger size I started carrying.